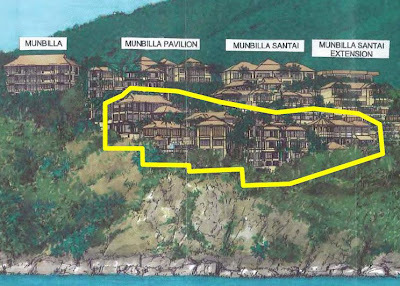 A leading city architect has called for Cairns Regional Councillors to not support a massive hillside development at Buchans Point, just north of Palm Cove. There are four applications for Mac Mansions, all four or five levels high, on what opposers call "undersized lots." The development application will be presented to Council tomorrow. However, a Cairns architect Mark Buttrose from Fisher Buttose, who leads the Save Our Slopes lobby group that successfully campaigned against developing False Cape and Taylor Point, says there is no reason to support the development on Buchans Point, and says the developer is simply submitting the same application that was rejected a year ago. "There have not been changes since the last [Council] meeting where they were withdrawn," Mark Buttrose said today. "I urge you to refuse this application as you did in November and December last year," he said in a letter to all Cairns Regional Councillors. 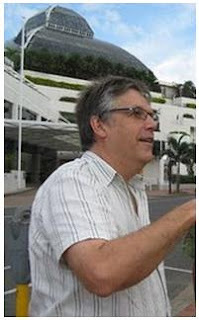 "The proposal is for a preliminary approval and accordingly should not be approved as details of the proposal are incomplete and Council officers have identified the bulk of the proposal is in conflict with the Cairns Plan and Wet Tropical Coast Regional Coastal Management Plan in regards to slope and visual amenity," Mark Buttrose says. He is asking Council to refuse the development application, and says that the development does not satisfactorily meet the requirements of the current planning scheme, the reconfiguration of Lot Code, or the Excavation and Fill Code. An approval was gained in 1994 on the site to create the four lots, however these lots were never registered and a request to have the approvals currency period extended was rejected by Cairns Regional Council in November 2008 and then again in December 2008. "The decision not to approve the subdivision is subject to an appeal by the applicant," Mark Buttrose says. "The appeal has been halted pending on how you vote on this application. If Council refused extension of the currency period of the four lot subdivision, then why would Council approve this application?" "One lot maximum would be allowed under the Cairns Plan which this application is being assessed under," Mark Buttrose says. "The one lot would even be questionable as it appears there is not an area of 1000m2 with slopes less than 1:4." Cairns Regional Council has previously voted for hill slope reform by re-designating numerous hill slopes to Conservation. "At this time the majority of Councilors voted to have these lots on Buchan Point de-designated from Residential 1 to Low Density Residential," Buttrose says. "This proposal in no way comes close to either a Residential 1 or Low Density Residential designation for the reasons stated above". Get rid of City Place and move Buttroses Toadstool to Buchan Point I say! 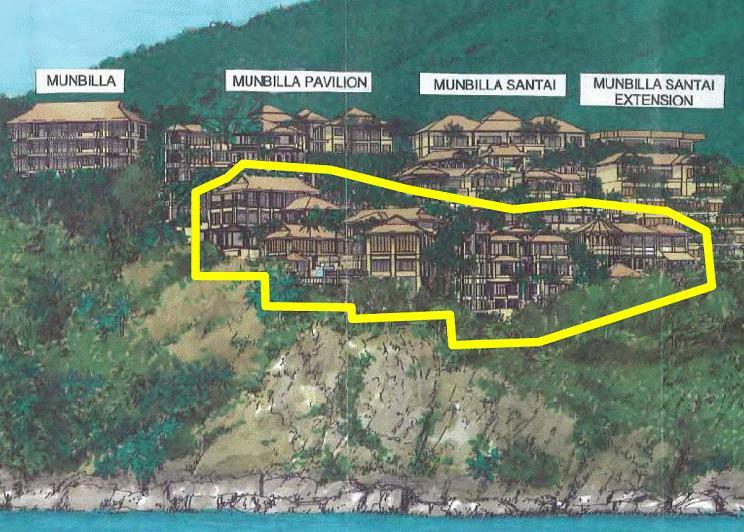 This project - and the mooted resort at Crystal Cascades - should be actioned without delay. Chris, the issue here is not one of current economic environment as these units could be built right now in a location where they comply with the Cairns Plan. If your neighbor put an application in for a 4-5 storey Mac Mansion next to you on a 600m2 Residential 1 lot would you object? I imagine you would. Then the question is why should the same development that in no way shape or form complies with the Cairns Plan be built on an iconic headland? I agree with Buttrose this time! The argument of Chris is just non sensically stupid and implies that 'anything goes' even if it is detrimemntal in the long term? What's so "iconic" about a partially weathered outcrop of granite - 100's of examples along the coast from Cooktown to Cardwell. This outcrop not only provides weather protection from the sea but also provides privacy, which, has encouraged the practice of the naked exposure by bathers. By allowing construction of buildings here will allow the owners of these buildings, to gaze upon these nudists and the unsavory behavior exhibited by these degenerates. I want to buy one !!! An "iconic headland" Mark ? Whoah. developed - for the economic benefit of the wider community. objection to a few "MacMansions"
rejecting the applicant's relatively modest proposal. me of another Mark - TWAIN. plynth and kept in a glass case".